Posted on February 25, 2019 at 9:27 am. Are you looking for a company who provides services for septic tank pumping in Chattanooga, TN? If so, you’ve come to the right place. 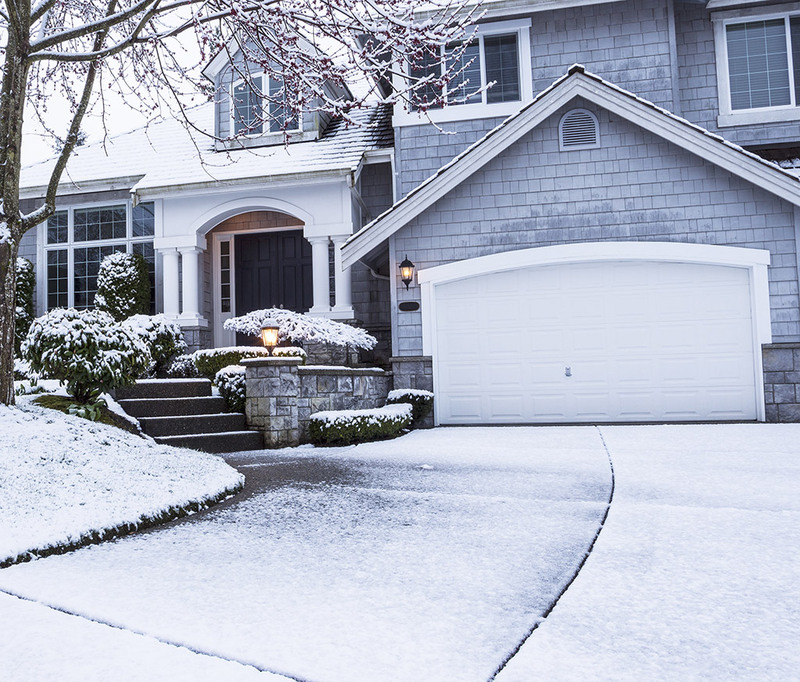 In winter, your septic system can come under high strain. The combination of cold weather and an influx of guests can lead to the creation of several issues which can hamper the condition and state your tank. If you want to make sure that these issues are solved timely, you must first understand the type of problems that can affect your septic tank in cold weather. Following are some of the most common septic tank issues which are experienced by homeowners in the middle of winters. If snow or frost goes deep into your septic system, then it can force your tank components to ice up. In some cases, it is possible that the entire system becomes frosted. The freezing of components is worrying for a reason; when a component is frozen, the anaerobic bacteria’s metabolic rate is slowed down in your tank. This means that it will be hard for the waste to be decomposed. If you feel that such an issue exists in your home then call a plumber for septic tank pumping in Chattanooga, TN. A plumber will help you with recommending and adding an insulating cover which can ensure that your septic system remains warmer in cold weather. Moreover, they can also help you with suggesting vegetation for your tank. When vegetation is placed around a septic tank then it can provide a cover against the cold. Additionally, according to an expert from a company who provides septic tank pumping in Chattanooga, TN, if you run water and make sure to use your system on a daily-basis then it can decrease the likelihood of it getting frozen. When homeowners drive over snow with plow or car, it can affect the snow which is present above the drain field or tank. Additionally, if the temperature is low, the soil which is sits atop on your tank can become dense and compact. When such a scenario occurs, the insulation of your tank is weakened which ultimately can freeze your septic system. Moreover, if the drain field soil compacts, there will be draining and filtering issues with the wastewater. Hence, in order to eliminate such problems, hire a plumber for septic tank pumping in Chattanooga, TN. A certified plumber will aerate your soil. Additionally, do not drive on such lawn areas. When a pipe is clogged, it can create problems for drainage. Similarly, when your pipe has a leak, you can face irregular drainage. Pipe leaks cause the freeze of water which then cause defacement to the septic system. Clogs are known to force the accumulation of wastewater in pipes after which the cold weather causes the freeze of wastewater. When the wastewater is frozen, it not only damages the septic system but is also responsible for the contamination of the drinking water. Hence, if you face such an issue, call a plumber for septic tank pumping in Chattanooga, TN. A dependable plumber can repair all your clogged or leaky pipes and implement a future-proof solution to ensure that they can work well during the winter period. The arrival of guests in large numbers can force you to call a plumber for septic tank pumping in Chattanooga, TN. If you have too many guests during holidays, then it can put a huge strain on your septic tank system. The influx of guests means that the use of laundry, shower, and other water intensive task increase substantially. Consequently, your tank system may have to overwork. Furthermore, if you have guests who are not familiar with septic systems, they might be guilty for flushing down wrong items in the toilet, causing the system to weaken. At first, you have to call for the service of septic tank pumping in Chattanooga, TN so a plumber can repair your system for the time being. Secondly, to address these concerns, ensure that your water usage like laundry and showers is controlled, instead of using huge amounts of water at the same time. This can make sure that your system does not have to overwork. Moreover, you can inform your guests with a list of items which cannot be flushed down the toilet. The septic tank pumping in Chattanooga, TN is particularly difficult during winters. The lawn snow and frozen ground make up for a tough proposition which makes it complex to dig your yard for the septic tank system. While it is entirely possible to begin your tank maintenance in the winter, it is still a tricky prospect and you should avoid it whenever it is possible. Therefore, if you want to prevent such possibility, then pump your septic tank when it is becoming full. Managing septic tanks can be troublesome in winters. Therefore, call a service for septic tank pumping in Chattanooga, TN. Such a service is known to have plumbers who are familiar to dig for septic tanks in winters. So who to call? You can contact Metro Plumbing, Heating and Air. We are known as one of the best experts for septic tank plumbing in the Chattanooga area. Our dedicated team of experts is composed of some of the best local plumbers who carry all the necessary licenses, accreditations and insurance qualifications. With a lot of experience behind their back, they can visit your home and quickly determine the cause behind a septic tank issue. We advise homeowners in Chattanooga to get annual inspections for their septic tanks and see if they are working alright. During our experiences, we found out that most of the septic tank issues were created because homeowners were not punctual with the maintenance of their tanks and hence paid a heavy price for their negligence.